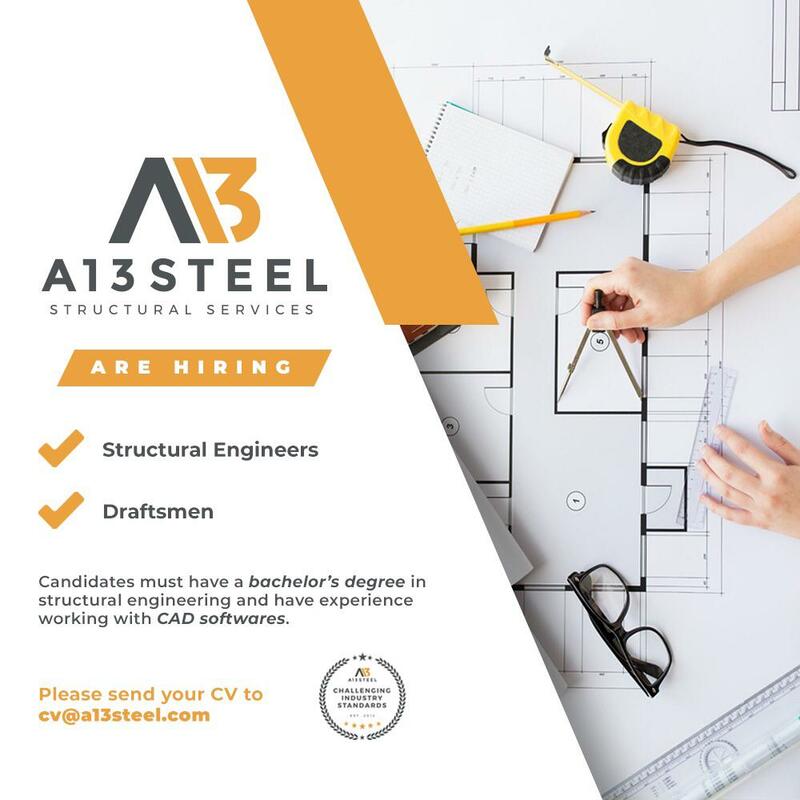 One of our clients A13 Steel Structural Services are hiring, Draftsmen and Engineers. Candidates must have a Bachelors Degree in Structural Engineering and have experience in using CAD software. Visit www.a13steel.com to find out more about the company.